How Have Couriers Changed in Recent Years? ....by Matthew Grahams, freelance journalist. The courier and logistics industry is one of the most important in the world, as it is responsible for getting nearly all post and parcels from A to B as fast as possible. Given the current rate of technological advancement, and the availability of new technological solutions to couriers around the globe, it is fair to say that this industry has been changing rapidly in recent years. Companies like TNT now use a variety of different transport methods to deliver items across the world, and it is likely they will continue to improve their service in the years to come. Here are some of the ways couriers have changed in recent years. Perhaps one of the most useful features which has changed the couriering game has been the introduction of more precise delivery estimates. 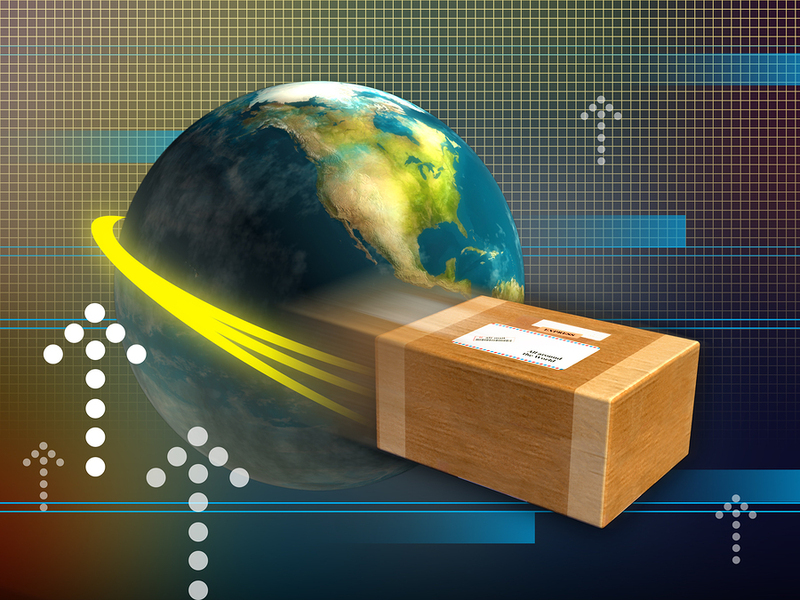 Now, many couriers can not only accurately predict the day of arrival but also the time or arrival down to the hour. This has made it far easier for customers of the courier to ensure that they do not miss the delivery. It is likely that estimated times for delivery will continue to improve in the years to come, with customers potentially being able to know the precise minute at which the parcel will arrive. Another feature which has revolutionised couriering has been parcel tracking, which allows those who are expecting a parcel to see each stage of their consignment’s journey. This has made it easy for customers to have peace of mind that their delivery is on its way, and can give them a good idea of how long it will take to arrive. It has also greatly benefitted businesses, many if which rely on important deliveries on a daily or weekly basis. Being able to track their parcel now allows them to plan their operations well in advance. Finally, the customer service offered by most major couriers has become a defining feature of their service. Each courier service will have a department dedicated to answering calls from customers and quickly sorting out any trouble which may arise with the delivery, and their contact information is usually laid out clearly on the home page of their website. This not only ensures customer queries are dealt with extremely quickly, but also that customers are satisfied with the service (and will likely use it again in the future). All in all, couriers have come a long way in the last decade alone, but it will not stop here. With new technologies being developed in industries like robotics and AI, we can expect to see a wealth of improvements in the coming years. As such, this exciting industry has much to look forward to.